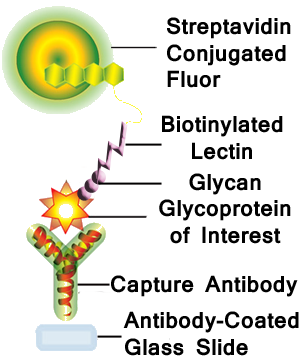 RayBio® Glycobiology Arrays are a versatile and innovative series of products designed to detect glycosylation. 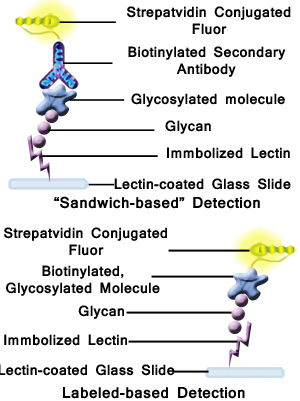 Glycosylation plays an important role in a wide variety of disease processes including tumor cell metastasis, inflammation and bacterial pathogenesis. 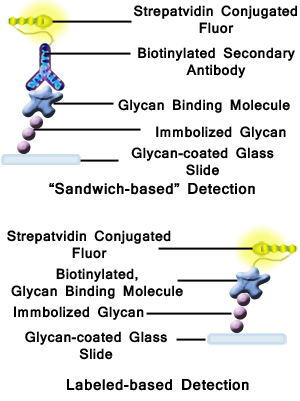 The RayBio® Glycobiology Arrays are available in three different formats for detection of glycans or glycan-protein interactions. All 3 formats feature glass slide supports with fluorescent detection.